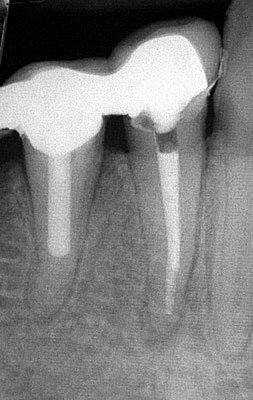 All of the following cases have been completed by myself in practice; please do not copy them and pretend that they are your own. 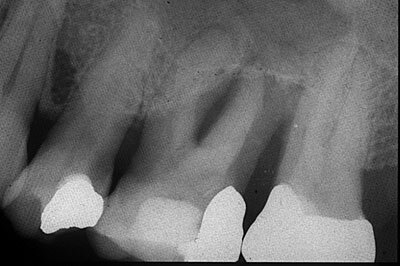 Lower premolars often have complex anatomy; this lower 5 has three canals. 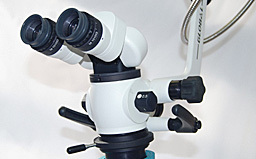 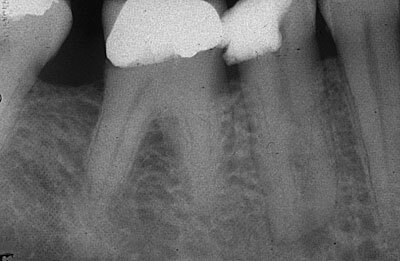 Upper first molars frequently have four canals; it is not common to see them this clearly. 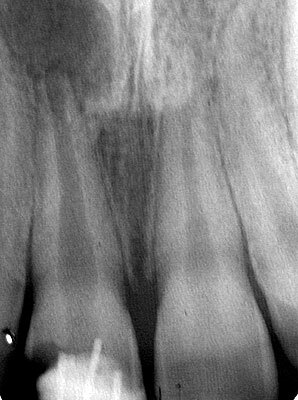 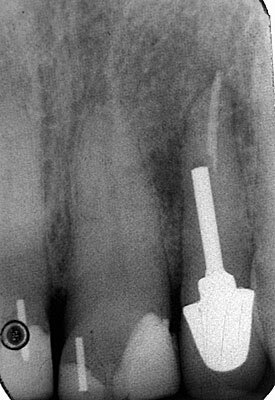 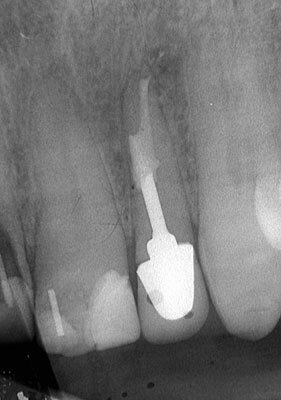 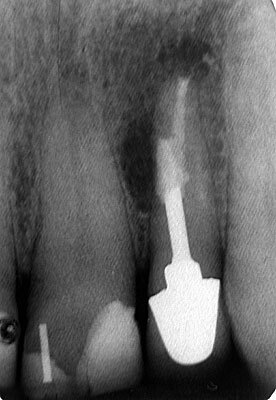 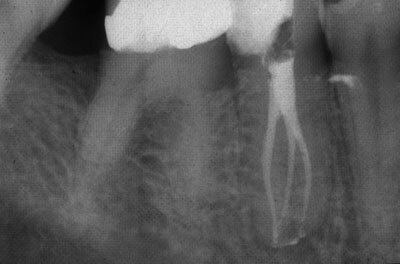 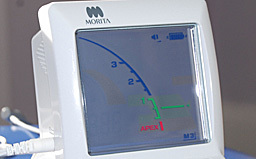 An instrument had broken in this lower 5 during previous root canal treatment: it has been removed and the tooth retreated. 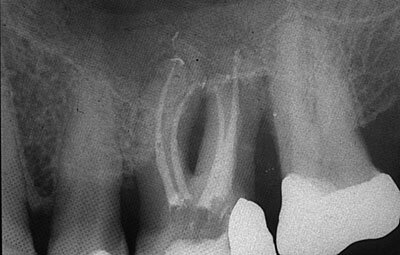 This immature incisor has an immature apex; the tooth has been root canal retreated. 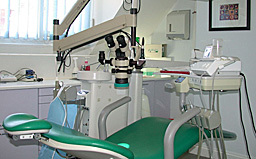 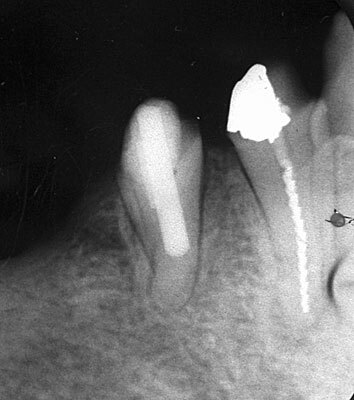 A post has perforated the side of this upper incisor; the post tip was removed surgically and the perforation repaired. 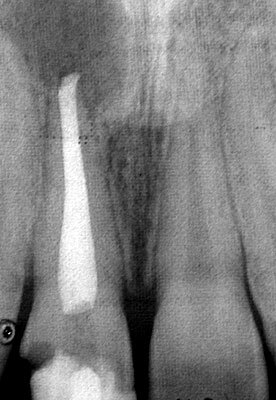 The last radiograph demonstrates hard tissue healing after six months.